Open 11am-6pm on both days. 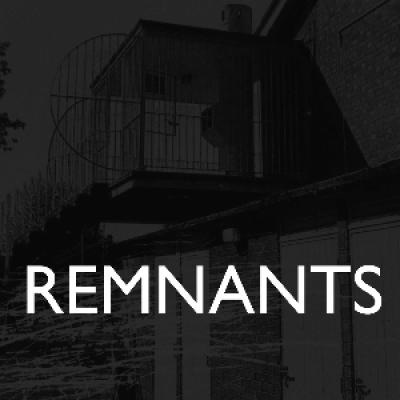 Artist talk and film screening Saturday 16th March 2.00pm. The exhibition will continue until 5th April. Contact bWljaGVsbGUgfCBzbGF1Z2h0ZXJoYXVzICEgbmV0 for further opening times. 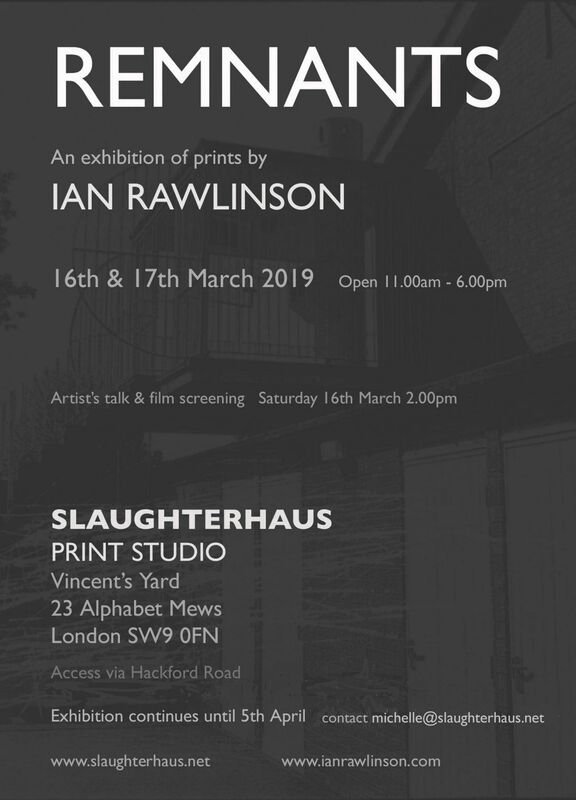 Ian Rawlinson's recent prints draw upon ideas of place and memory and were originally shown in a series of solo exhibitions exploring different areas of his hometown of Cambridge. Each of the exhibitions and accompanying short film focused on an area either lost or greatly changed since he lived in the city. The imagery in the prints is based on stills from his films and includes significant buildings, places and maps together with heavily etched elements and black void shapes. Prints from this series were awarded a prize at the National Original Print Exhibition in both 2016 and 2017. The prints are being shown together in London for the first time.